There’s one universal truth about babies. People LOVE to buy them gifts! 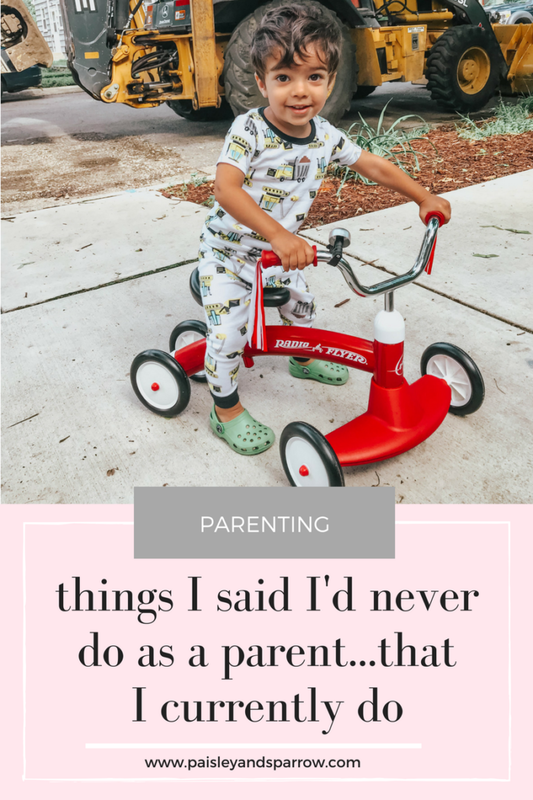 Aunties, grandmas, neighbors and of course parents love spoiling little ones. 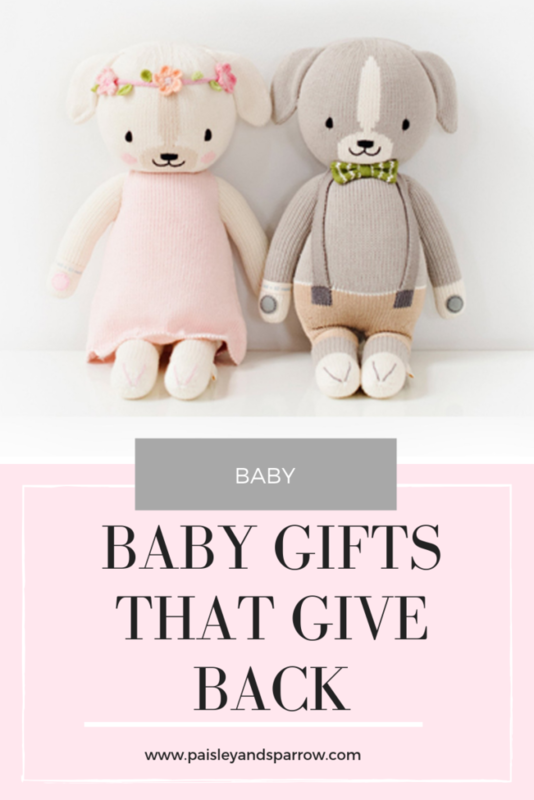 While gifts are always fun, here are a few baby gifts that give back! I’ve been overjoyed when I’ve received a gift from someone for one of our kids and realized there was a give back portion to it! 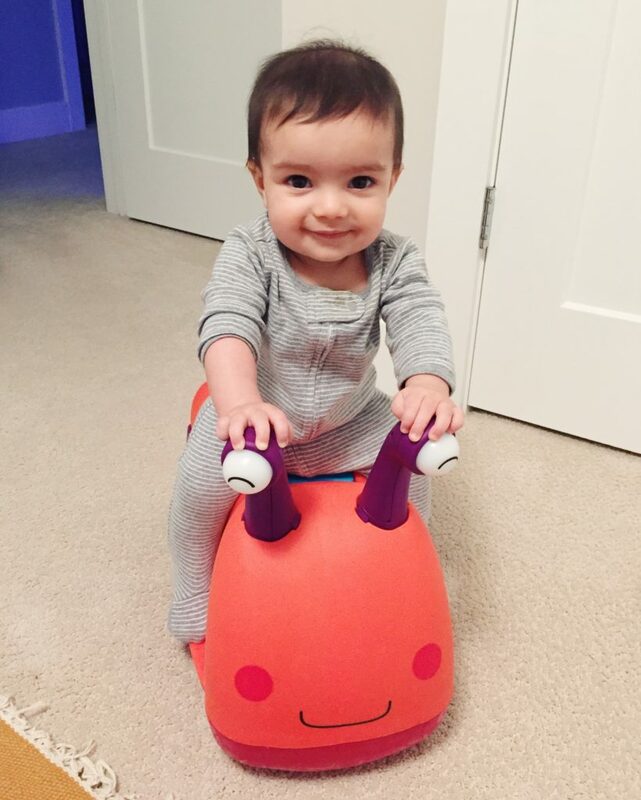 Here’s a handful of some of my favorite baby gifts that give back. I was first introduced to Cuddle+Kind dolls when I was pregnant with Roy and now we have quite a few! Our amazing neighbors sent Roy and Penelope these matching ones when she was born which was so thoughtful. Rishi’s work also gave all the kids Cuddle + Kind penguins for Christmas! How they give back: The mission behind Cuddle+Kind is to provide one million meals to kids in need a year. Each doll gives 10 meals to a child in need. What’s more is these dolls are made in Peru providing sustainable, fair trade income for women there! I seriously want to get my niece and P these matching unicorn dolls – how cute! Is there anything cuter than little baby/kid shoes? 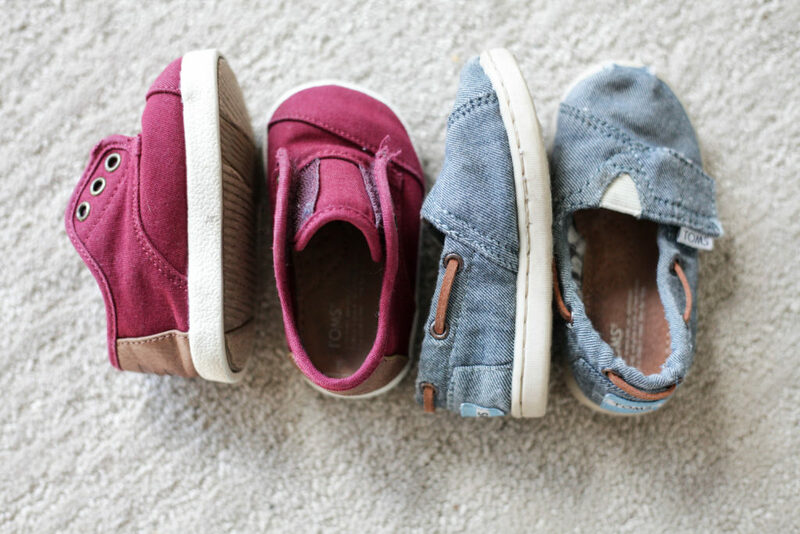 When Roy was little I went to a TOMS warehouse sale and picked him up a few pairs of TOMS. Turns out it was one of the best decisions ever! Not only are the super cute but he’s able to put them on himself and many of the styles are gender neutral so now Penelope wears them! They held up so well with Roy that they’re no issues having P wear them. How they give back: For every shoe that is bought a pair of shoes is given to a child in need. I’ve spent quite a bit of time abroad in 3rd world countries and I’ve actually seen TOMS on little kid’s feet in Malawi and Uganda! I love seeing a companies mission in action. We just received our firs set of Tegu products and I love the concept! 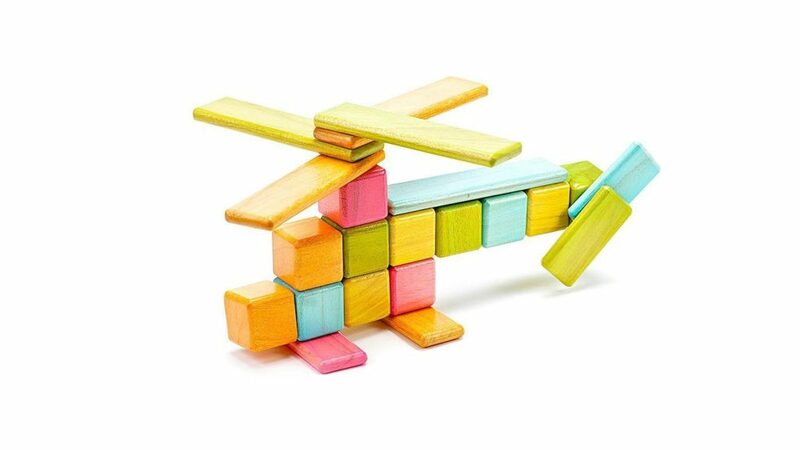 Tegu wooden blocks and toys are actually magnetic! Roy LOVES the train set that he got and is constantly switching the blocks around and driving his train all over the house! How they give back: Tegu established a fully independent toy factory in Honduras to give employees a living wage and prioritize long-term career growth and development. Tegu is bringing world-class employment standards to Central America. They also work with local Honduran cooperatives to harvest their wood responsibly. 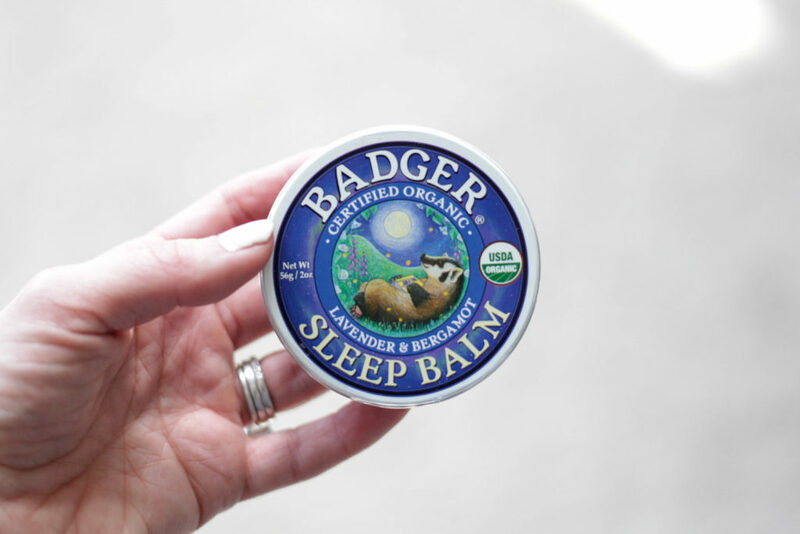 We were recently gifted a tin of the Badger Sleep Balm and let me tell you – no parent will ever say no to anything that encourages sleep for your little one! They have a variety of baby products from sunscreen, diaper cream and even belly oil for mom! How they give back: Badger Balm donates 10 percent of before-tax profits to organizations that focus on the health and welfare of children and the also match a portion of their employees contributions. I guarantee you’ve seen B. Toys products before because Target carries them! We have both the Woofer and the Buggly Wuggly (that you can see above that baby Roy is sitting on!) that are huge hits with both of our kids! Next time you’re heading to a baby shower or a kid’s birthday party, consider one of these baby gifts that give back! They’re sure to make an impact in more than one way. Also check out my 9 Best Books for Kids! We love these books for our kids and also to give as gifts!